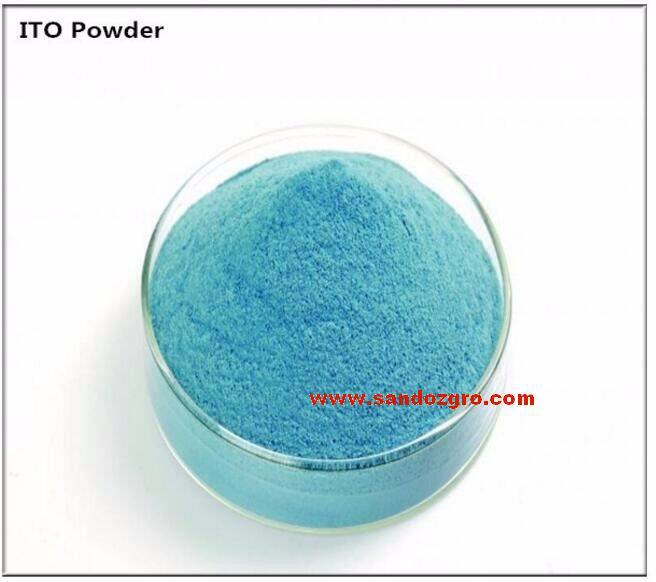 ITO is normally deposited by a physical vapor deposition process such as D.C. magnetron sputtering or electron beam deposition. 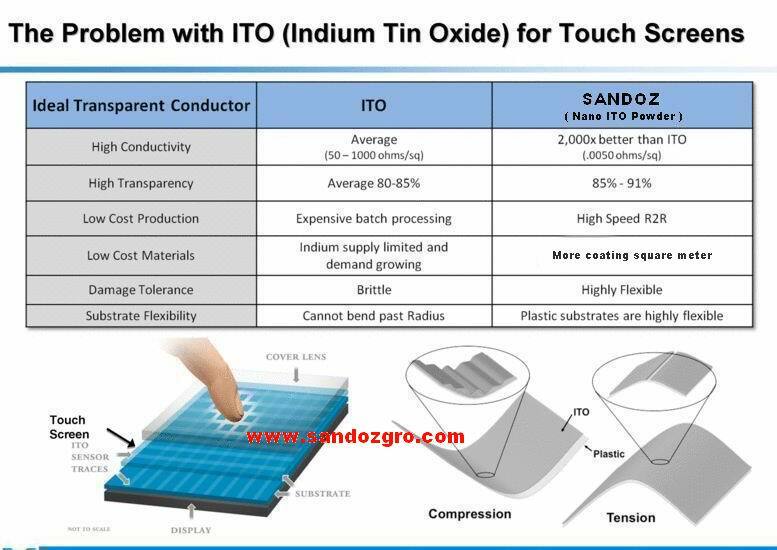 Less frequently, ITO can be incorporated in inks using an appropriate film-forming polymer resin and solvent system, and deposited by screen printing - albeit with lower transparency and conductivity compared to a physical deposition process. Add:DongGuan city. 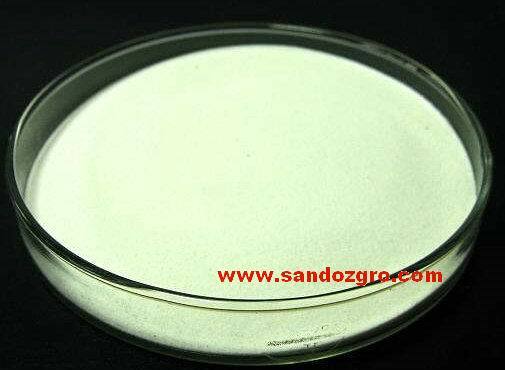 GuangDong Province., China.Tel: +86 4000522705.Email:sales@sandozgro.com. Copyright 2012 All rights reserved. Sandoz Building Material Ltd.